Kanye West has hijacked the internet as of late. Ever since rejoining Twitter the rapper/producer has been everywhere. From announcing new music to aligning himself with Donald Trump, it's been an incredibly busy few weeks for Mr. West. In amongst those Twitter conversations there was mention of an interview coming soon with Breakfast Club host Charlamagne Tha God. While we weren't sure on whether there was any actual truth to it being that Kanye insinuated that he was offered $10 million for the interview - who pays that for an interview - it turns out there was indeed an interview. 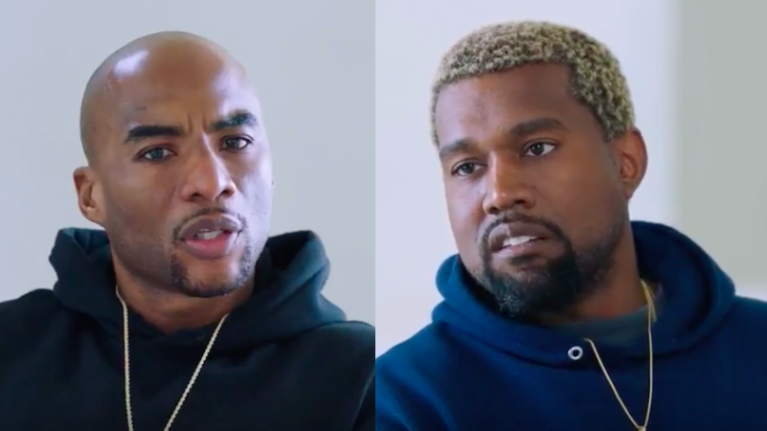 Released just moments ago, Charlamagne sits down with Kanye West at his home in California to talk about EVERYTHING.